Unexpected decision to move out has come to your mind? You don’t know what are the basic steps you need to do before leaving your current tenement? Have no fear, because we are here! In brief, all you have to do is to put the lodging in a presentable condition or in other words you need to bring it back to its primary appearance. We mean the one that has attracted you, when you decided to rent this concrete house. * Before saying even a word about your decision to your landlord, read the contract carefully. If you need to, read it twice. If you still have some questions and things you do not understand, write them down. Yes, it may sound as after the death, the doctor will come, but it is better to ask and then do, whatever you are up to. * Going to your landlord and informing him about your removal, name your questions. Always keep in mind that if you used to be a good tenant, you may ask for a permission to skip some sanitising parts that are signed in the contract. * Usually, landlords play it safe and put accents in the contract about their most valuable items in the house. For instance, you can find bolded phrases that link to a huge attention of the kitchen maintenance, because it is a modern and new one. This is a sign for you to do whatever it takes to make each centimetre from the kitchen shine from cleanliness. 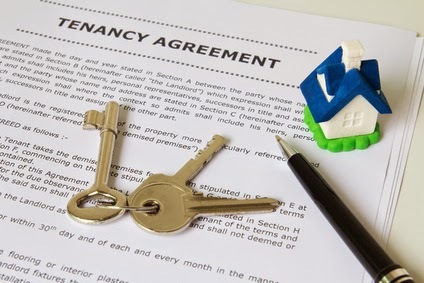 * Some contracts do not require end of tenancy cleaning to be done in order to return your tenancy deposit back. There might me additional conditions. Actually, some landlords do not even take tenancy deposits – if they know you before, for example – so you do not have to rub and wash the entire house! * Most contracts mention that the end of lease sanitising should be done by professional tenancy cleaners. Make sure you do not put too much energy of your own and still fail in this exhausting procedure. Of course, we would like to remark it again! Never sign anything without reading and understating it in advance. Even if it is about a rent of an old and ugly house, you must know what you agree with!